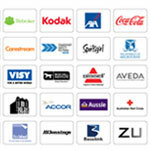 Branded candles grabs your clients' attention as a branded corporate gift. 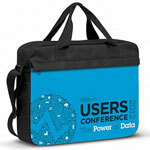 They are perfect for any occasion and can be handed out as business gifts, party favours or conference giveaways. Here at ACE, our collection of promotional candles boasts of custom candles in elegant glass jars, candle holders and budget tins which are ideal for travel. 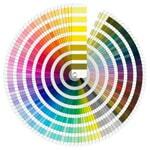 When branded with your corporate name or logo, they make subtle yet effective marketing tools. Click on the images to see more candles that can be printed with your logo. Vanilla scented candle in glass jar. 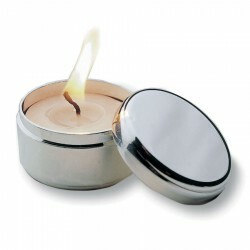 Promotional candles are a great promotional giveaway item suitable for the office or the home. Our unscented promotional pillar candle is individually bagged and elegantly presented with a natural raffia gift bow. Printed natural candles are a safe and natural way to fragrance the home or the office. 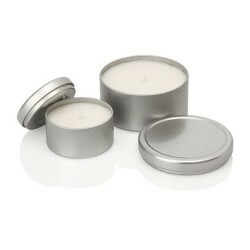 Our large sized soy travel tin candles are available in a range of aromatic fragrances that will arouse the senses. 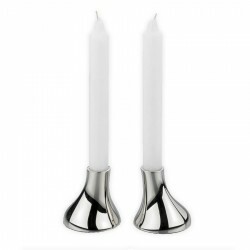 These long burning promotional candles are GM FREE and custom filled to order. Printed votive Candles, made with natural soy and available in a range of aromatic fragrances. Individually gift boxed. GM Free. These natural printed candles are custom filled to order. Keep those pesky insects out of sight, naturally, with these custom printed citronella candle tins. 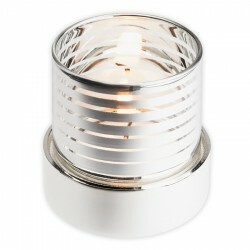 Soy Glass Votive Candles, available in a bright range of colours. Individually gift boxed. GM Free. These natural promotional candles are custom filled to order. Classic Vanilla fragrance, Free from palm oil, Made from soy wax, bee's wax, coconut wax and natural fragrances, Presented in a recycled cardboard gift tube, 70g, max burn time 25hrs. Beautifully presented. Glass top with metal base in shiny nickel finish. Features: Supplied with tea light candle. Rosemary and white ginger scented soy candle in glass jar with heart shaped glaze ornament. 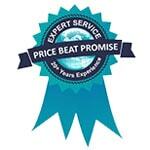 Features: Approximate burning time 14 hours. Stunning soy wax candle in square glass jar with honeysuckle & jasmine scent. 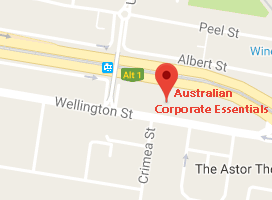 Features: 4 hour burning time. 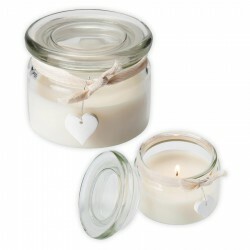 Beautifully presented in a round glass base, honeysuckle and jasmine scented candle Features: The glass jar is 40mm thick which gives it a lovely solid feeling includes 2 wicks with a 14 hour burning time. 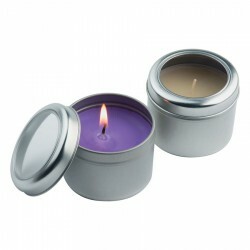 Vanilla and lavender scented candles in a satin finish aluminium tin with clear window Features: Packed in a PVC box. Different fragrances available on indent. Classic Vanilla fragrance, Free from palm oil, Made from soy wax, bee's wax, coconut wax and natural fragrances, Presented in a recycled cardboard gift tube, 180g, max burn time 50hrs.